A familiar face is returning to Showtime. 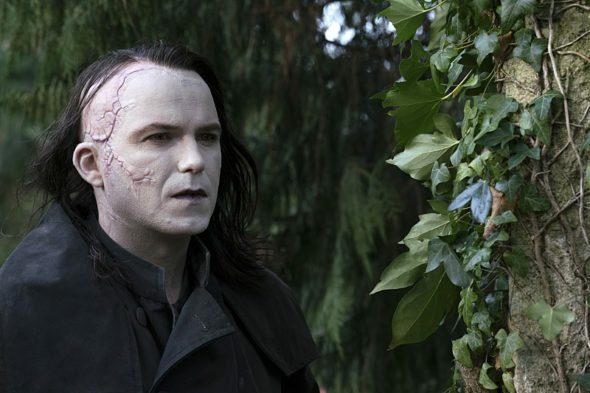 The network just announced Penny Dreadful star Rory Kinnear has joined the upcoming sequel TV show, Penny Dreadful: City of Angels. The spinoff “opens in 1938 Los Angeles, a time and place deeply infused with social and political tension.” The cast includes Natalie Dormer, Daniel Zovatto, Adriana Barraza, Jessica Garza, Johnathan Nieves, and Nathan Lane. LOS ANGELES – March 19, 2019 – SHOWTIME has announced that Rory Kinnear (PENNY DREADFUL) has joined PENNY DREADFUL: CITY OF ANGELS, the next chapter of the PENNY DREADFUL saga, in the series regular role of Dr. Peter Craft. Craft is a successful German pediatrician and the head of the German-American Bund, an organization he hopes will keep the United States isolated from the growing threat of war in Europe. The series also stars Natalie Dormer, Daniel Zovatto, Adriana Barraza, Jessica Garza, Johnathan Nieves and Tony(R) and Emmy(R) winner Nathan Lane. Tony and Golden Globe(R) award winner and three-time Oscar(R) nominee John Logan, the creator, writer and executive producer of the Emmy nominated series PENNY DREADFUL, continues in those same roles. Michael Aguilar (KIDDING) also serves as executive producer. Production on the drama series is expected to begin later this year. Kinnear is an award-winning British actor, best known for his role as Bill Tanner in the James Bond films Quantum Of Solace, Skyfall and Spectre. Other film credits include Trespass Against Us, iBoy, Man Up, Cuban Fury, Broken, Wild Target and Academy Award(R) and BAFTA nominated The Imitation Game. Kinnear’s TV credits include the original PENNY DREADFUL and the SHOWTIME limited series GUERRILLA, along with Inside No. 9, Quacks, The Casual Vacancy, Count Arthur Strong, Southcliffe, Loving Miss Hatto, Black Mirror, Richard II and Lucan. Recent releases include Peterloo and BBC’s Watership Down. Kinnear is currently filming Russell T Davies’ Years and Years opposite Emma Thompson and Catherine The Great opposite Helen Mirren. What do you think? Are you a fan of Penny Dreadful? Will you check out the sequel series? More about: Penny Dreadful: City of Angels, Penny Dreadful: City of Angels: canceled or renewed?, Showtime TV shows: canceled or renewed? Loved Penny Dreadful. Cannot wait for new series.